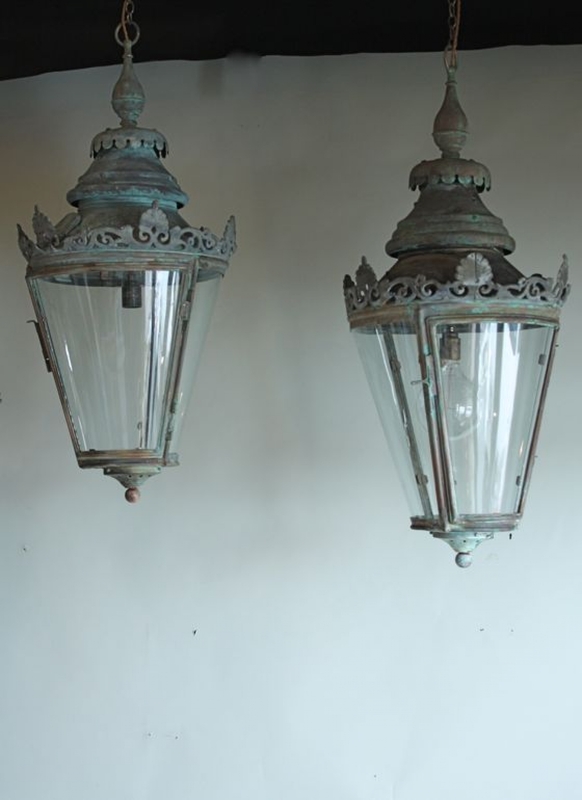 Antique lanterns are hugely poular and NDA do all sorts and sizes, all our lanterns are original and not copies, all are rewired and tested and come with hook plates chain and flex. Antique Lanterns wth curved glass are generally a little more expensive than straight sides because usually the glass does not survive and new has to be moulded and tapered. There are very few artisans now who can do this and NDA are lucky that we have a supplier close by. 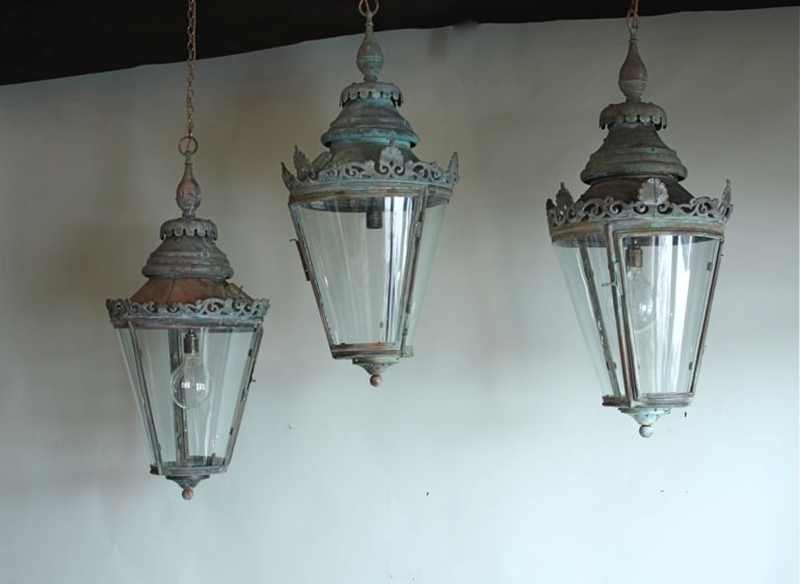 Copper lanterns mostly were formerly post or bracket lanterns and can be hung from the ceiling by the addition of a loop through the top finial, we also supply brackets if required. Outside antique lanterns are hard to come by because we have to be careful that there is not too much damage and that they can be wired to standard without the system failing in bad weather, we sell every antique outside lantern we have very quickly. Presently we have a really good selection of lanterns some of which will go to the Decorative fair 22-27 January at battersea Park (Chelsea Gate entrance) please email us for free tickets.